Robert F. Behler was sworn in as Director of Operational Test and Evaluation on December 11, 2017. A Presidential appointee confirmed by the United States Senate, he serves as the senior advisor to the Secretary of Defense on operational and live fire test and evaluation of Department of Defense weapon systems. Prior to his appointment, he was the Chief Operating Officer and Deputy Director of the Carnegie Mellon University Software Engineering Institute (SEI), a Federally Funded Research and Development Center. SEI is a global leader in advancing software development and cybersecurity to solve the nation’s toughest problems through focused research, development, and transition to the broader software engineering community. 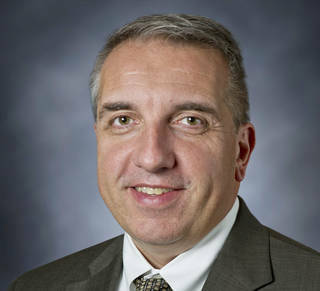 Before joining the SEI, Mr. Behler was the President and CEO of SRC, Inc. (formerly the Syracuse Research Corporation). SRC is a not-for-profit research and development corporation with a forprofit manufacturing subsidiary that focuses on radar, electronic warfare and cybersecurity technologies. Prior to working at SRC, Mr. Behler was the General Manager and Senior Vice President of the MITRE Corp where he provided leadership to more than 2,500 technical staff in 65 worldwide locations. He joined MITRE from the Johns Hopkins University Applied Physics Laboratory where he was a General Manager for more than 350 scientists and engineers as they made significant contributions to critical Department of Defense (DOD) precision engagement challenges. General Behler served 31 years in the United States Air Force, retiring as a Major General in 2003. During his military career, he was the Principal Adviser for Command and Control, Intelligence, Surveillance and Reconnaissance (C21SR) to the Secretary and Chief of Staff of the U.S. Air Force (USAF). International assignments as a general officer included the Deputy Commander for NATO’s Joint Headquarters North in Stavanger, Norway. He was the Director of the Senate Liaison Office for the USAF during the 104th congress. Mr. Behler also served as the assistant for strategic systems to the Director of Operational Test and Evaluation. As an experimental test pilot, he flew more than 65 aircraft types. Operationally he flew worldwide reconnaissance missions in the fastest aircraft in the world, the SR-71 Blackbird. Mr. Behler is a Fellow of the Society of Experimental Test Pilots and an Associate Fellow of the American Institute of Aeronautics and Astronautics. He is a graduate of the University of Oklahoma where he received a B.S. and M.S. in aerospace engineering, has a MBA from Marymount University and was a National Security Fellow at the JFK School of Government at Harvard University. Dr. Mark J. Lewis is the Director of IDA’s Science and Technology Policy Institute, a federally funded research and development center. He leads an organization that provides analysis of national and international science and technology issues to the Office of Science and Technology Policy in the White House, as well as other Federal agencies including the National Institutes of Health, the National Science Foundation, NASA, the Department of Energy, Homeland Security, and the Federal Aviation Administration, among others.Prior to taking charge of STPI, Dr. Lewis served as the Willis Young, Jr. Professor and Chair of the Department of Aerospace Engineering at the University of Maryland. A faculty member at Maryland for 24 years, Dr. Lewis taught and conducted basic and applied research. From 2004 to 2008, Dr. Lewis was the Chief Scientist of the U.S. Air Force. From 2010 to 2011, he was President of the American Institute of Aeronautics and Astronautics (AIAA).Dr. Lewis attended the Massachusetts Institute of Technology, where he received a Bachelor of Science degree in aeronautics and astronautics, Bachelor of Science degree in earth and planetary science (1984), Master of Science (1985), and Doctor of Science (1988) in aeronautics and astronautics.Dr. Lewis is the author of more than 300 technical publications and has been an adviser to more than 70 graduate students. Dr. Lewis has also served on various advisory boards for NASA, the Air Force, and DoD, including two terms on the Air Force Scientific Advisory Board, the NASA Advisory Council, and the Aeronautics and Space Engineering Board of the National Academies.Dr. Lewis’s awards include the Meritorious Civilian Service Award and Exceptional Civilian Service Award; he was also recognized as the 1994 AIAA National Capital Young Scientist/Engineer of the Year, IECEC/ AIAA Lifetime Achievement Award, and is an Aviation Week and Space Technology Laureate (2007). As Quality Assurance Director, Dr. Marcey Hoover is responsible for designing and sustaining the Laboratories’ quality assurance system and the associated technical capabilities needed for flawless execution of safe, secure, and efficient work to deliver exceptional products and services to its customers.Marcey previously served as the Senior Manager responsible for developing the science and engineering underpinning efforts to predict and influence the behavior of complex, highly interacting systems critical to our nation’s security posture. In her role as Senior Manager and Chief of Operations for Sandia’s Energy and Climate program, Marcey was responsible for strategic planning, financial management, business development, and communications. In prior positions, she managed organizations responsible for (1) quality engineering on new product development programs, (2) research and development of advanced computational techniques in the engineering sciences, and (3) development and execution of nuclear weapon testing and evaluation programs. Marcey has also led several executive office functions, including corporate- level strategic planning.Active in both the American Statistical Association and the American Society for Quality (ASQ), Marcey served two terms as the elected ASQ Statistics Division Treasurer. She was recognized as the Outstanding Alumni of the Purdue University Statistics Department in 2009 and nominated in 2011 for the YWCA Middle Rio Grande Women on the Move award. She currently serves on both the Purdue Strategic Research Advisory Council and the Statistics Alumni Advisory Board, and as a mentor for Big Brothers Big Sisters of New Mexico.Marcey received her bachelor of science degree in mathematics from Michigan State University, and her master of science and doctor of philosophy degrees in mathematical statistics from Purdue University. Mr. Pearce is responsible for leading aeronautics research mission strategic planning to guide the conduct of the agency’s aeronautics research and technology programs, as well as leading ARMD portfolio planning and assessments, mission directorate budget development and approval processes, and review and evaluation of all of NASA’s aeronautics research mission programs for strategic progress and relevance. Pearce is also currently acting director for ARMD’s Airspace Operations and Safety Program, and responsible for the overall planning, management and evaluation of foundational air traffic management and operational safety research. Previously he was director for strategy, architecture and analysis for ARMD, responsible for establishing a strategic systems analysis capability focused on understanding the system-level impacts of NASA’s programs, the potential for integrated solutions, and the development of high-leverage options for new investment and partnership. 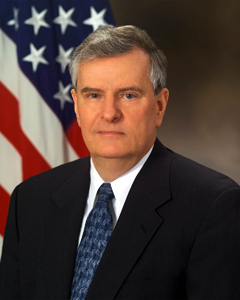 From 2003 until July 2010, Pearce was the deputy director of the FAA-led Next Generation Air Transportation System (NextGen) Joint Planning and Development Office (JPDO). The JPDO was an interagency office tasked with developing and facilitating the implementation of a national plan to transform the air transportation system to meet the long-term transportation needs of the nation. Prior to the JPDO, Pearce held various strategic and program management positions within NASA. In the mid-1990s he led the development of key national policy documents including the National Science and Technology Council’s “Goals for a National Partnership in Aeronautics Research and Technology” and the “Transportation Science and Technology Strategy.” These two documents provided a substantial basis for NASA’s expanded investment in aviation safety and airspace systems. He began his career as a design engineer at the Grumman Corporation, working on such projects as the Navy’s F-14 Tomcat fighter and DARPA’s X-29 Forward Swept Wing Demonstrator. Pearce also has experience from the Department of Transportation’s Volpe National Transportation Systems Center where he made contributions in the area of advanced concepts for intercity transportation systems. Pearce has received NASA’s Exceptional Service Medal for sustained excellence in planning and advocating innovative aeronautics programs in conjunction with the White House and other federal agencies. He received NASA’s Exceptional Achievement Medal for outstanding leadership of the JPDO in support of the transformation of the nation’s air transportation system. Pearce has also received NASA’s Cooperative External Achievement Award and several Exceptional Performance and Group Achievement Awards.He earned a bachelor’s of science degree in mechanical and aerospace engineering from Syracuse University, and a master’s of science degree in technology and policy from the Massachusetts Institute of Technology. Dr. Parker is Team Lead for Advanced Measurement Systemsat the National Aeronautics and Space Administration’s Langley Research Center in Hampton, Virginia. 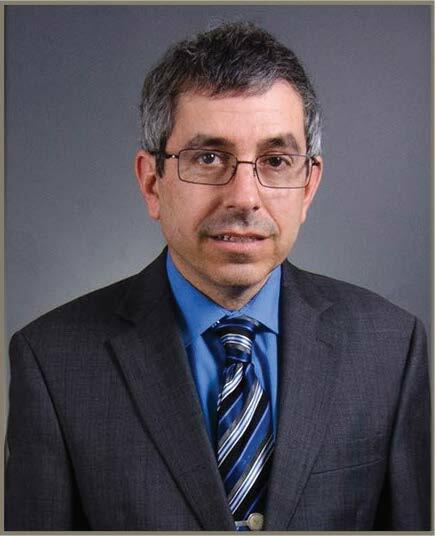 He serves an Agency-wide statistical expert across all of NASA’s mission directorates of Exploration, Aeronautics, and Science to infuse statistical thinking, engineering, and methods including statistical design of experiments, response surface methodology, and measurement system characterization. His expertise is in collaboratively integrating research objectives, measurement sciences, test design, and statistical methods to produce actionable knowledge for aerospace research and development. 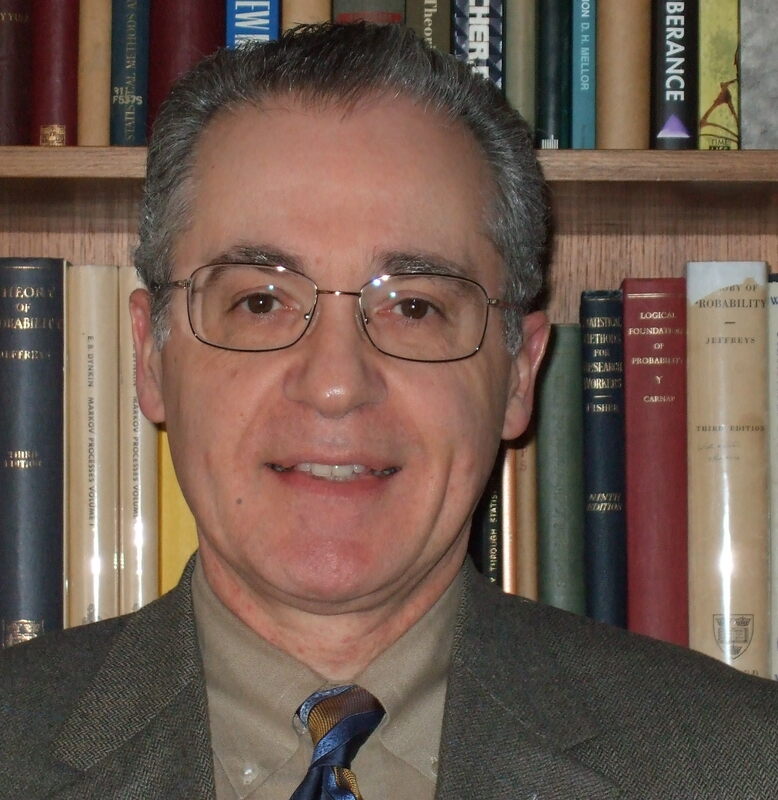 Antonio Possolo holds a Ph.D. in statistics from Yale University, and has been practicing the statistical arts for more than 35 years, in industry (General Electric, Boeing), academia (Princeton University, University of Washington in Seattle, Classical University of Lisboa), and government. He is committed to the development and application of probabilistic and statistical methods that contribute to advances in science and technology, and in particular to measurement science. Mr. Duma is the Acting Director, Operational Test and Evaluation as of January 20, 2017. Mr. Duma was appointed as the Principal Deputy Director, Operational Test and Evaluation in January 2002. In this capacity he is responsible for all functional areas assigned to the office. He participates in the formulation, development, advocacy, and oversight of policies of the Secretary of Defense and in the development and implementation of test and test resource programs. He oversees the planning, conduct, analysis, evaluation, and reporting of operational and live fire testing. 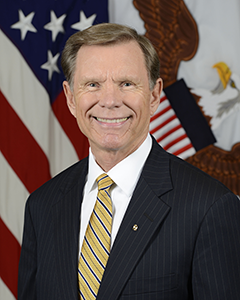 He serves as the Appropriation Director and Comptroller for the Operational Test and Evaluation, Defense Appropriation and coordinates all Planning, Programming, and Budgeting Execution matters. He previously served as Acting Director, Operational Test and Evaluation from February 2005 to July 2007 and again from May 2009 to September 2009.Mr. Duma also served as the Acting Deputy Director, Operational Test and Evaluation from January 1992 to June 1994. In this capacity he was responsible for oversight of the planning, conduct, analysis, and reporting of operational test and evaluation for all major conventional weapons systems in the Department of Defense. He supervised the development of evaluation plans and test program strategies, observed the conduct of operational test events, evaluated operational field tests of all armed services and submitted final reports for Congress.Mr. Duma returned to government service from the commercial sector. In private industry he worked a variety of projects involving test and evaluation; requirements generation; command, control, communications, intelligence, surveillance and reconnaissance; modeling and simulation; and software development.Mr. Duma has 30 years of naval experience during which he was designated as a Joint Service Officer. He served as the Director, Test and Evaluation Warfare Systems for the Chief of Naval Operations, the Deputy Commander, Submarine Squadron TEN, and he commanded the nuclear powered submarine USS SCAMP (SSN 588).Mr. Duma holds Masters of Science degrees in National Security and Strategic Studies and in Management. He holds a Bachelor of Science degree in Nuclear Engineering. He received the U.S. Presidential Executive Rank Award on two occasions; in 2008, the Meritorious Executive Award and in 2015, the Distinguished Executive Rank Award. He is a member of the International Test and Evaluation Association.